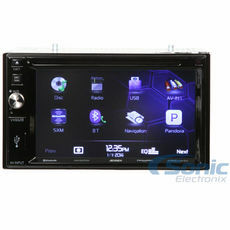 Find in dash car stereo head units including single and double din units guaranteed to fit in your vehicle! 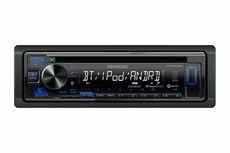 Enjoy high-fidelity digital sound with In-Dash receivers that play CDs or digital music files such as MP3 through SD card. Get 50% off a Belva BBCAM1 Backup Camera with Purchase! FREE Belva BBCAM3 Backup Camera with Purchase! Marine Single DIN Hi-Power Bluetooth In-Dash CD/AM/FM/SiriusXM Ready Car Stereo with 160W RMS (CEA Rated Power) built-in 4-channel Amplifier! 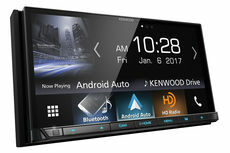 15% off SiriusXM Radio + $70 Mail-in Rebate! Add a FREE 3.5mm Aux Audio Cable to your Stereo Purchase! 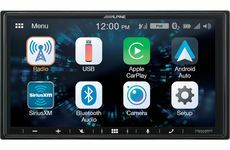 25% off SiriusXM Radio + $70 Mail-in Rebate! Mountable under the seat or in the trunk, these modules typically are for "brand-specific" add-on navigation. Some units are universal add-on pieces and connect via the video input of the monitor or source receiver. 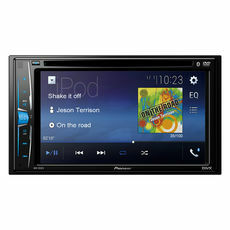 Finally getting that car stereo that you have always wanted? 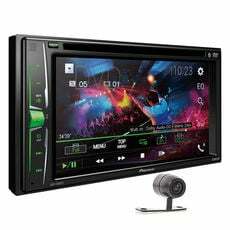 In this category you will find everything that you need to install your new stereo, as well as items that you can use enhance the sound from the new headunit. 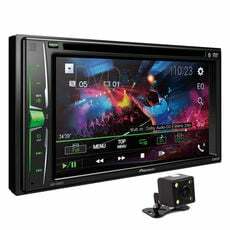 Some of these products include installation dash kits, wiring harnesses, iPod adapters, connectors, noise filters, Bluetooth handsfree kits, and more. 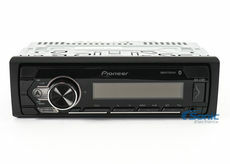 For those who want the most out their car audio system, a quality sound processor is a must. After some slight adjustments, your systems will sound like it has been professionally tuned and optimized. Tune your system to perfection with these crossovers, equalizers, and bass drivers. 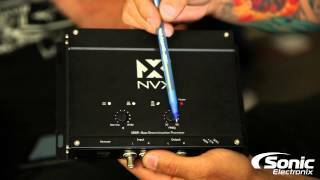 Click here to learn more about digital sound processors and to find out which type would be best for your car audio system. 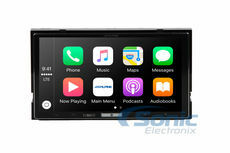 Here is our large selection of iPod and iPhone car adapters and cables. Use these cables to connect and control your iPod or iPhone with your Alpine, Kenwood, JVC, Pioneer or other aftermarket in-dash car stereo receiver. Many of the iPod adapters listed here will also charge your iPod or iPhone while it is connected. There are USB to lightning cables and USB to 30-pin cables. 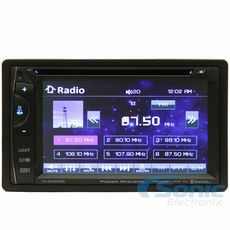 Here you will find a variety of in-dash car stereos which feature MirrorLink technology. 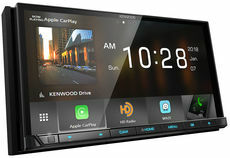 These stereos provide easy-to-use in-dash 2-way control over compatible iPhone and Android smartphones. These adapters allow you to use your vehicle's factory steering wheel audio controls to control your new aftermarket car stereo. 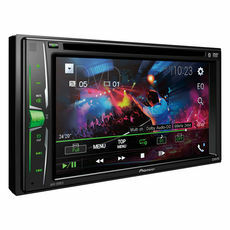 Want to know if your vehicle can fit most Double DIN video or CD players using a kit? 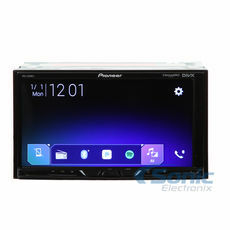 The Scosche chart will show you which kit you will receive FREE with purchase of a compatible in-dash unit. 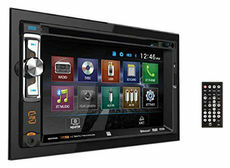 Not all vehicles require a kit, and may only use the factory mounting brackets to replace the factory Double DIN unit. Please note that factory mounting depth needs to be factored into the installation of any unit, along with the outer mounting area of the Double DIN dash opening compared to the units.